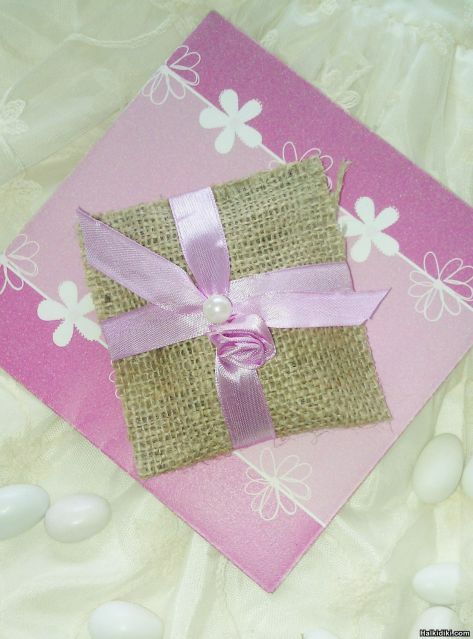 Handmade favors from natural burlap ideal for baby shower favor, baptism or wedding favor. Decorate the table or put them on your guests plate as a little favor. Something to remember your special occasion by.